Bonus question, when was it written? Answer: 1976. 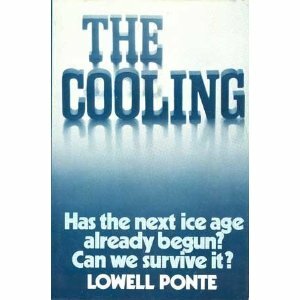 It is a quote from a book by Lowell Ponte entitled The Cooling – Has the next Ice Age already begun? Can we survive it? In fact, it’s still on Amazon. First person to get the correct answers was John Gardner – congratulations! There were some great alternative answers submitted as well, all of them worthy of mention, but I particularly enjoyed Dave N’s (a) greed (b) another Wall Street sequel, Keith L’s (a) women driving (b) 1920, and of course Baa Humbug’s (a) the environmental movement (b) the year 2050. A free ticket to Tim Flannery’s next presentation to the winners, and two free tickets to the losers. I want 1000 free tickets. so I can release the CO2 ! !